Last August on Gamescom 2017 Microsoft announced a nice suprise for the aoe2 fans: Microsoft is working on Age of Empires 2: Definitive Edition! I collected all the information I could find and made the complete guide. Let’s dive into aoe2de. Lets walk you through the Age of Empires @ Gamescom Live show. As teased in June during the E3 there was a big Age of Empires event on the first night of Gamescom 2017. The one hour event was setup to celebrate the 20th anniversary of the franchise this year. The show was a balance of pleasing the aoe fans and also introducing it to new people. Dozens of fans showed up for the live show. The spotlight was on the already announced Age of Empires: Definitive Edition. The streaming fans also saw some familiar faces when they interviewed the casters ZeroEmpires and Killer B. Followed by gameplay example videos, some lan action, an interview with the Forgotten Empires team, some promotion for the Microsoft sponsored Escape Euro Cup finals on Gamescom and giveaways until finally they started the announcements! First up was the new Age of Empires: Definitive Edition trailer with new game details, the release date (later postponed to Februari 20th) and the start of the closed beta. Followed by the quick note that they will also do Age of Empires 2: Definitive Edition (Wow!) and Age of Empires 3: Definitive Edition. Closing of the show with the teaser for new installment: Age of Empires 4 (Wow!!). Overall I found it a positive and energetic event to watch. The hosts did a good job to move the show along for the casual viewers, but there was enough room with new details for the aoe fans. That they worked with ZeroEmpires and involved the community in the show is a big plus. Microsoft #clearly invested in the show and have big plans for the series. To understand the plan for aoe2de we first have to look at Age of Empires: Definitive Edition. The game was announced in June 2017 at the E3 event from PC Gamer. Maybe with a little push from Bill Gates. Microsoft Studios can no longer work with Ensemble Studios, because they closed the studio ten years ago. The developer for the remaster is Forgotten Empires. A group of former fanmods that were the creative force behind three popular aoe2hd dlc’s. Last summer they announced that former Ensemble Studios lead engineers Matt Pritchard and Rich Geldreich had joined there team. Nothing more then a dream team to work on Age of Empires: Definitive Edition. The definitive edition is a remaster of the original Age of Empires game from 1997. Microsoft Studios announced new 4k graphics, improved balance based on UserPatch, different zoom modes, a classic mode, multiplayer, a map editor and mod support. The new graphics look closer to aoe2. Because both aoe1 and aoe2 are build on the Genie engine the Forgotten Empires had experience to improve the game with new features formerly only available in aoe2. Nothing game changing, but improvement we come to espect in modern games like the ability to queue multipe unites and a hotkey to find idle villagers. The multiplayer uses Xbox Live framework, but like with other pc games you don’t need the Xbox Live Gold console subscription to play the multiplayer. If you don’t like the graphics or the new features you can still play the original game in classic mode. The game will be released on Microsoft’s own Windows Store for Windows 10. Because of some missing features like mod support the release of Age of Empires: Definitive Edition was postponed from the original October 19th 2017 to Februari 20th 2018. There is not much known about Age of Empires 2: Definitive Edition. In the Gamescom announcement Adam Isgreen from Microsoft Studios only mentioned that they want to take the the same care of aoe2de as they did with aoe1de. That sounds like Forgotten Empires is also involved, but Bert Beeckman aka Cysion cannot confirm this. They are only the graphics and creative support for aoe2hd, but the full developer of aoe1de. I think more details will follow soon after the release of aoe1de. If we follow the details from aoe1de we could expect new 4k graphics, zoom modes and exclusive Windows Store and Windows 10 release. However I don’t think that will happen. The big difference between aoe1 and aoe2 is that the latter had an incredible successful release on Steam. Since 2013 the hd edition sold around five milion copies, has more then 400.000 active players every two weeks and a review score of 92%. 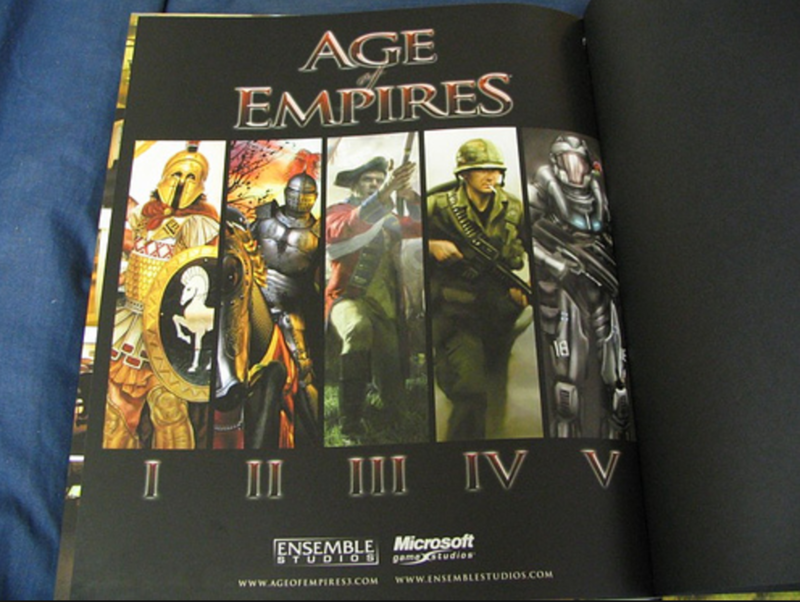 Even if Microsoft wants to release the definitive editions only to build hype the next few years for aoe4 they cannot discard this playerbase of milions of fans. A release exclusive on Windows Store could potential splinter the community that the Forgotten Empires team nurtured to growth the last five years. My hope is that they upgrade Age of Empires II HD on Steam with a dlc to Age of Empires 2: Definitive Edition. Just like with Rise of Nations: Extended Edition Microsoft Studios could release it on Windows Store and Steam simultaneous with crossplay. This would please the active players on Steam and get them the Windows Store release and promotion for aoe4 they want. And if I’m right it could be possible that there is a team of Forgotten Empires already working on it for the last ten months. This unknown dlc for aoe2 on SteamDB could very well be Age of Empires 2: Definitive Edition. Just like aoe2de there is not much known about Age of Empires 3: Definitive Edition. A graphic overhaul and a release on Windows Store seems most likely. Just like aoe2hd this game is successful on Steam. With 2.5 milion sales and 150.000 active players every two weeks it’s most likely to need crossplay between Steam and Windows Store to keep the community together. There has been much discussion about the meaning of the Age of Empires 4 teaser. The narrator and graphics reference all the old games and artwork. Even the logo is in the familiar style. It ends with the calling for a new age. Unlike the old booklet there is no reference of World War I, World War II or a future setting. I think that they will stick with the timeframe that made the franchise most successful: the aoe2 timeframe. Microsoft also announced the new developer: Relic Entertainment. A seasoned rts developer that has a successful franchise based in the World War II timeframe. According to ZeroEmpires the development in August 2017 was a early stage technical demo. Starting there it will take minimal two years, but most likely more to finish a complete game. The Relic developers are active seeking for input on what should be focus of the game. A meetings with pro players, casters and community people has happened after Gamescom. Luckily for Relic they are based in the same city as SkyBox Labs, the developers of the most active title in the franchise. aoe1de will be released next month and I expect some news for aoe2de to follow shortly after. It will be an active year for the aoe franchise and community. I will do my best to update this blog when any news breaks. The wiki is also still in development so you really should keep an eye out for updates on this blog. Subscribe via RSS and follow @aoe2wiki on Mastodon for the latest news.